Luckily the rain held off for a day trip to Ha Long Bay! 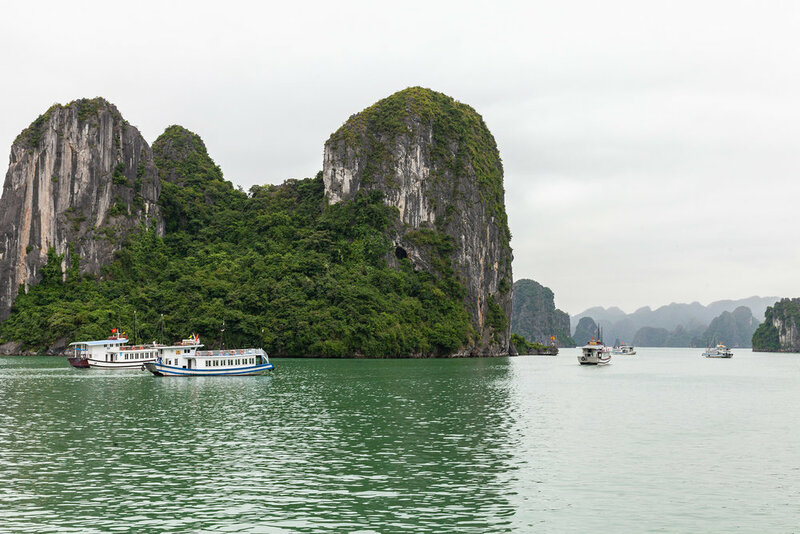 With limited time on my whirlwind tour of Vietnam, I opted for a short trip with Genesis Cruises. The cruise took us out around the islands, making stops at the spectacular Sung Sot Cave and Hangluon Cave. 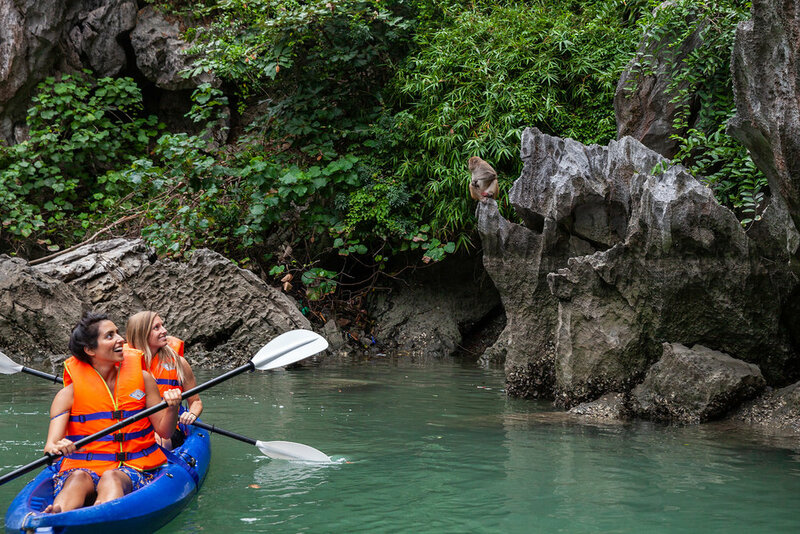 We disembarked for kayaking, monkey-watching and cave tours.